Nigeria’s former president Goodluck Jonathan was “not aware” of any attempts by political consultancy Cambridge Analytica to interfere in elections in 2007 and 2015, his spokesman said on Thursday. 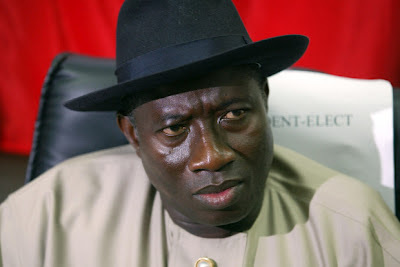 In Nigeria, a government committee is looking into claims that SCL Elections, a Cambridge Analytica affiliate, organized rallies to dissuade opposition supporters from voting against Jonathan’s then-ruling People’s Democratic Party (PDP) in 2007. “Goodluck Jonathan was not aware of such attempts, if there were any,” said the ex-leader’s spokesman Ikechukwu Eze in a statement. “The whistleblower who originated the allegation has been consistent in associating it to an unnamed businessman, who was neither linked to the party nor to the Jonathan campaign,” Eze said. The government investigation announced on Monday will also look into whether Cambridge Analytica’s work for the election campaigns of the PDP broke Nigerian law “or infringed on the rights of other parties and their candidates”. Unlike in Europe and the United States, where data-privacy laws provide a level of protection to consumers, many Africans have little or no recourse if a data breach occurs because often legal and regulatory safeguards do not exist.